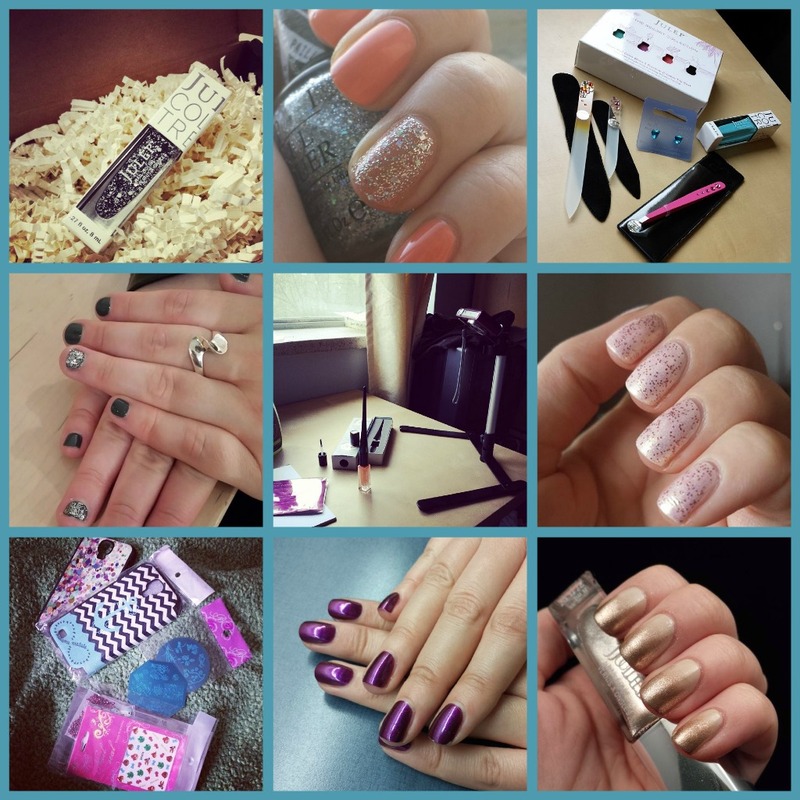 Last month saw a lot of nail-related deliveries! I got a bunch of goodies I ordered from Julep (top) and Born Pretty Store (bottom left), and I also got some lovely items to review from Influenster/Broadway Nails and Mont Bleu Design Glassware (top right). In the center picture you can also see another excitement from this month - trying out my Julep Plié Wand for the first time! Unfortunately May was not a good month for nail art... As you can see none of it even made it to instagram. :/ Oh well. Can't knock it out of the park every month, right? If you have questions about what specific shades or items are you can check the originals on instagram or leave me a comment here and I'll let you know. As always, feel free to leave links to your own instagram account in the comments of this post so I can check it out. :) And don't forget to check out the giveaway I have going right now for a bunch of shades from the Revlon Parfumerie Spring 2014 Collection!